Adam Vay of the Quad City Mallards—a real team in the ECHL, I swear—is not someone you wan to scrap with. 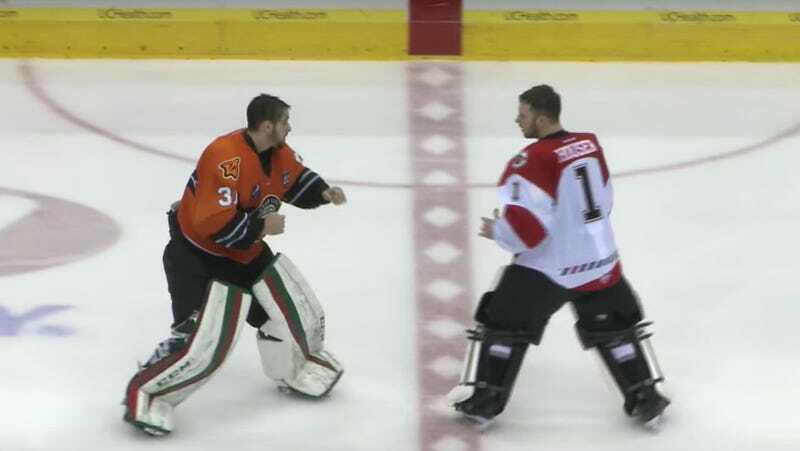 The goalie is an avid MMA practitioner, but it seems that Cincinnati Cyclones keeper Michael Houser didn’t know that, because he tried to throw hands last night. It did not end well. The entire game was apparently quite testy and full of brawls, as the above highlight reel shows, but nobody landed as good of a punch as Vay.